In September 2015, when the major Spring 2016 fashion collections were shown, engagement on Instagram reached 44 million unique accounts and had 360 million interactions. These “Insta-Models” are akin to the “Supermodels” of the 80s and 90s in terms of popularity. They can earn €265,000/$300,000 on average per Instagram post. Everyone from high street retailers to department stores and luxury brands are using Instagram for commercial gain. 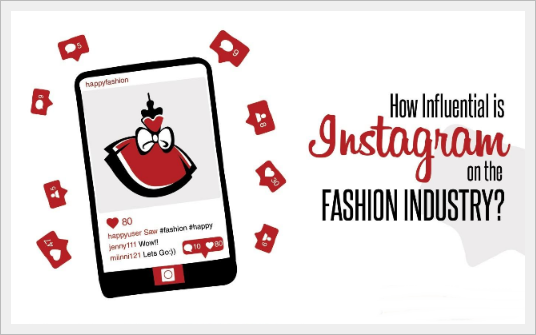 The team at Irish lifestyle website Evoke.ie compiled an infographic to illustrate the power of Instagram in today’s fashion industry.